If you’re lucky enough to have some outside space, however big or small that might be; you’ve got the potential for an additional, usable “room” to your home. Many people are thinking of ways to make the most out of their garden, whatever the weather might be. Gardens can provide you with a space to breathe (literally, you can get some fresh air), enjoy the sights and sounds of nature, and a variety of other enjoyable activities. And, don’t worry, there are a plethora of things you can do your backyard, no matter what your skill-set or your budget. You’ll never regret the investment you put into your garden, and, often, you’ll add value and functionality to your property, making it a smart choice to start improving things out there. The following are some ideas and inspiration for homeowners who feel like their garden space could use some TLC, and who are ready to enjoy the outside of their property more often, for the years ahead. If you have the room and are able, building a summer house, a garden office, or even a structure where you can securely store your items, will mean you’re making more of the environment, immediately. Therefore, think about what you’ll use the structure for the most, and start there. There are an array of designs online, so do a little research, and work out your budget, and how things will look in its surroundings. You might need to check out sites like getcash.com so that you can cover the cost and get started straight away. Once you’re ready to purchase and build something, the fun and creativity can begin. Working out the interior and exterior of the structure will allow you to add your character and personality, and you’ll have a place in which you enjoy spending your time. If, like many people, you find fresh air and nature relaxing, and soothing to your mind; surely it’s worth investing in an area that can provide both? Think about sectioning-off an area of the garden with plants, or trellis and climbing foliage; you can add some seating too so that you have somewhere to sit and clear your mind. Take your morning coffee out there; in colder weather, simply wrap-up, or invest in the addition of a patio heater. Sweet smelling plants and flowers will please even more of your senses, and a bird feeder will ensure that you attract the nature you’ve been craving. You could change what’s underfoot with some paving, gravel, or bark so that you have a clear distinction between your little sanctuary, and the rest of your garden. 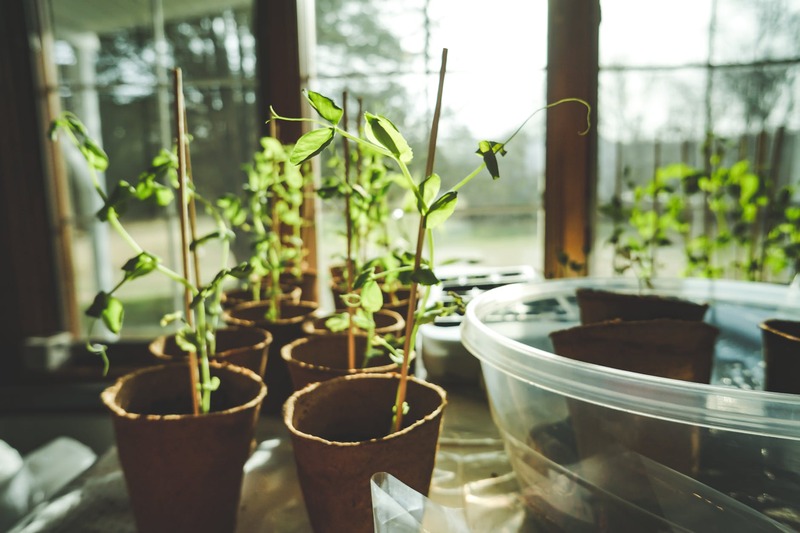 You might not be the most green-fingered person out there, but, there are always ways to add low-maintenance plants, fruit, and vegetables, to the space so that you can reap the rewards. Plant pots, window boxes, and raised beds will allow you to practise your gardening, without the pressure of using your land, so think about the areas that would benefit from some decorative and edible additions!